THE Bachrach Naumburger Group, owners of Park Beach Plaza, Park Beach HomeBase and Gateway House have started the year with a green approach. They have reduced their environmental footprint with the completion of many environmental and energy saving initiatives. Some were completed late in 2017, and 2018 will see plans for larger investments into energy savings. 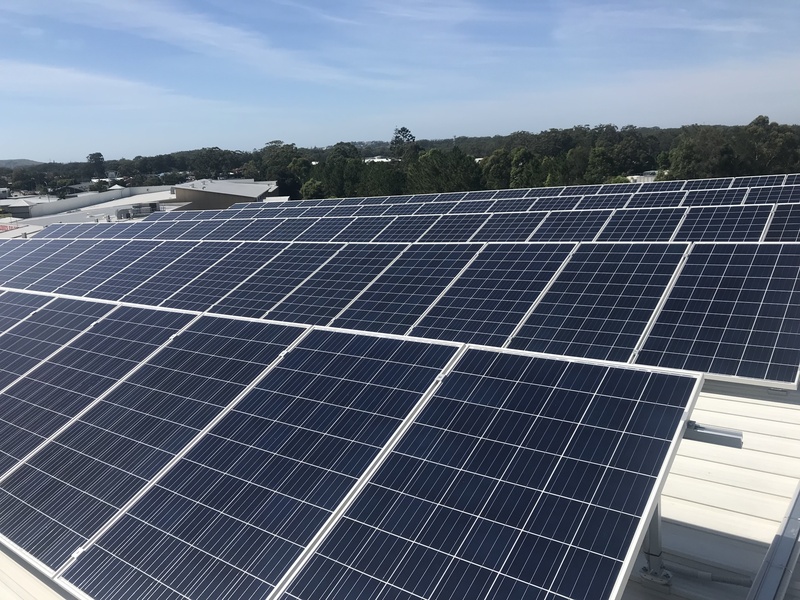 Gateway House, a 5.5 Star NABERS-rated building behind Park Beach HomeBase and home to Centrelink, was equipped with a100kW solar system late in December 2017. Plans are to continue this investment and roll out further 550kW solar systems across Park Beach Plaza in 2018, with a total investment in excess of $850,000 across the properties in Coffs Harbour partnering with local supplier SI Clean Energy (Mega Watt Power) for these projects. The BNG Group has also undertaken an extensive rollout of LED lighting upgrades throughout Park Beach Plaza and Park Beach HomeBase. The lighting has been updated internally and externally across both sites, significantly improving energy efficiencies, but also improving light quality throughout a number of areas for customers. This latest round of environmental initiatives is in addition to the considerable investment the Bachrach Naumburger Group has made in water savings at Park Beach Plaza with the upgrade of centre amenities during the past few years. These improvements have resulted in a more than 25% reduction in water usage. Park Beach Plaza has also expanded their recycling program including paper, cardboard, co-mingle, food waste and green organics recycling. These initiatives have more than 60% of the centre's waste diverted from landfill to recycling. We hope to expand on this program in 2018 with initiatives being investigated through local operators, Handybin Waste. The owners have also committed to supporting emerging technologies. Park Beach Plaza recently finalised an agreement for the installation of six Tesla Super Charging Stations at the centre. The charging stations are part of an expanding network to complement the evolution of electric vehicles in Australia and Park Beach Plaza is proud to be involved in this emerging industry.